Hello! do you want to know what I did during school holiday? Well, two weeks ago I went to Malacca with some bloggers to check out the new shopping mall, The SHORE Shopping Gallery. It has been a while since my last visit to Malacca, one of the UNESCO World Heritage Site and this trip perks my perception toward Malacca town whereby I witnessed the progress of urbanization in the heart of a historical city. And… finally The SHORE Shopping Gallery grand opening on 21st March 2015 was officiated by the Chief Minister of Melaka, YAB Datuk Seri Ir. Hj. Idris Bin Hj. 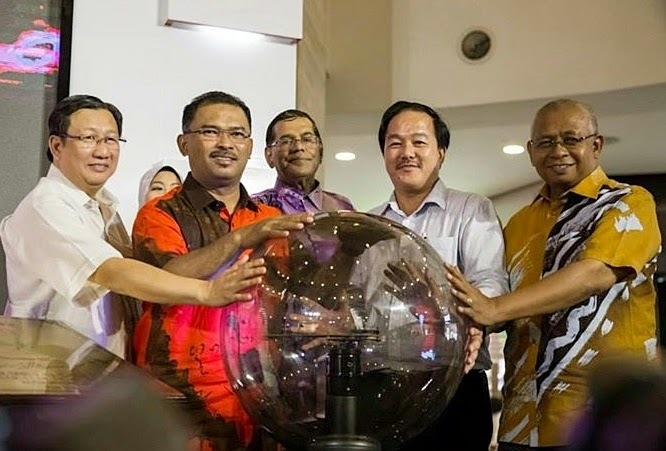 Haro and also present were Pelaburan Hartanah Berhad Managing and CEO Datuk Kamalul Arifin Othman and Kerjaya Prospek Group CEO Datuk Tee Eng Ho and other VIPs. The SHORE Shopping Gallery’s location is right in the heart of Malacca city and on the river cruise or monorail route and opposite the Eye of Malacca, just a short drive away from the heart of Malacca's historical sites, the well-known Jonker Street and Chinatown where tourists throngs. The Mall features modern, elegant architectures, harmonious landscaping and a bevy of services to make it a shopping paradise for all ages. 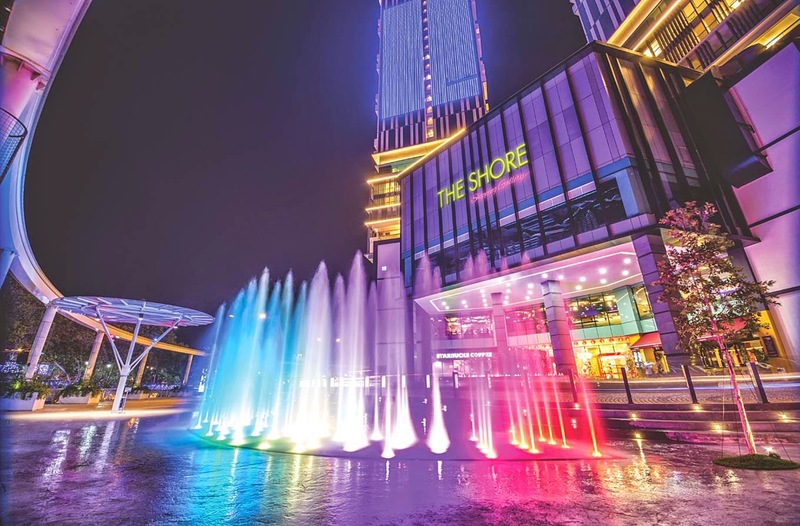 It is teh home to over 100 splendid stores with an area size of 300,000 sq ft with 3 major anchor tenants such as TANGS Lifestyle Store, The SHORE Oceanarium Complex and Lot 10 Hutong Food Gallery. We get to stay overnight at the new 4-star Swiss Garden Hotel & Residences Malacca. 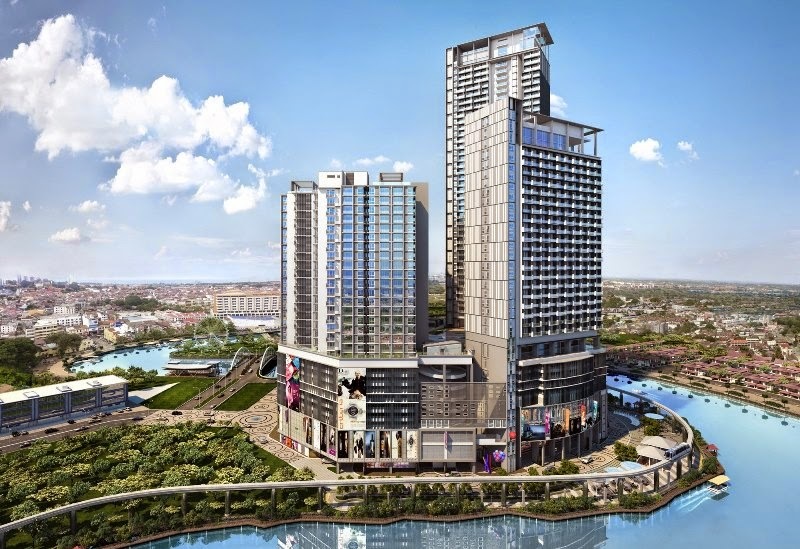 The 32 and 42 storeys towers comprise 306 elegant hotel rooms and 484 contemporary serviced apartments. This is my twin sharing deluxe room at Swiss Garden Residences. I like the see through bathroom concept and some rooms comes with bathtub. 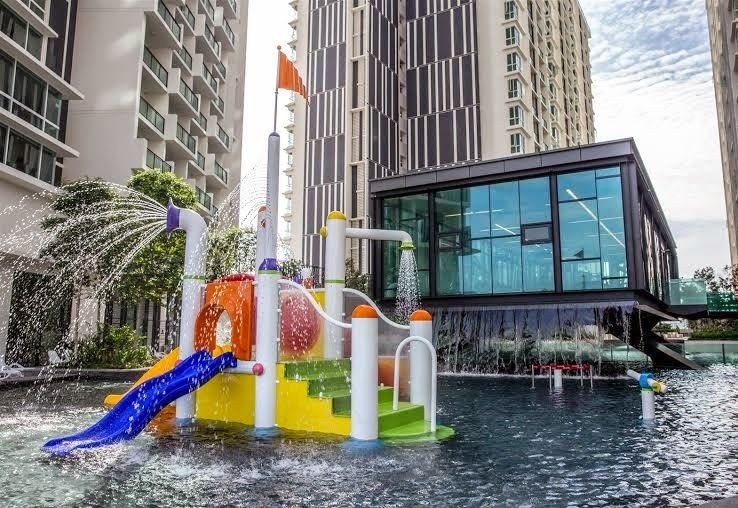 The swimming pool is the place all the kids want to go and play. During the launch, The SHORE Shopping Gallery also announced their 1 Millionth Customer where he received the prize of a 2 nights 1 day night stay inclusive of breakfast for 2 persons at Swiss Garden Hotel & Residences Malacca. Plus there are RM15,000 worth of prizes sponsored by TANNS, Elle, Guy Laroche, La Bodega and Parenthood Stores. Well, the SHORE is part of the integrated development that consists of four major components namely The SHORE Shopping Gallery, The SHORE Service Residences, the 4-star Swiss Garden Hotel & Residences Malacca and the Oceanarium Complex which bring out a vibrant environment for business, shopping and dwelling in the heart of magnificent Malacca. Overall, The SHORE Shopping Gallery offers the locals and tourists the comfort, joy and urban lifestyle in the historical city of Malacca, one of the UNESCO World Heritage Site. 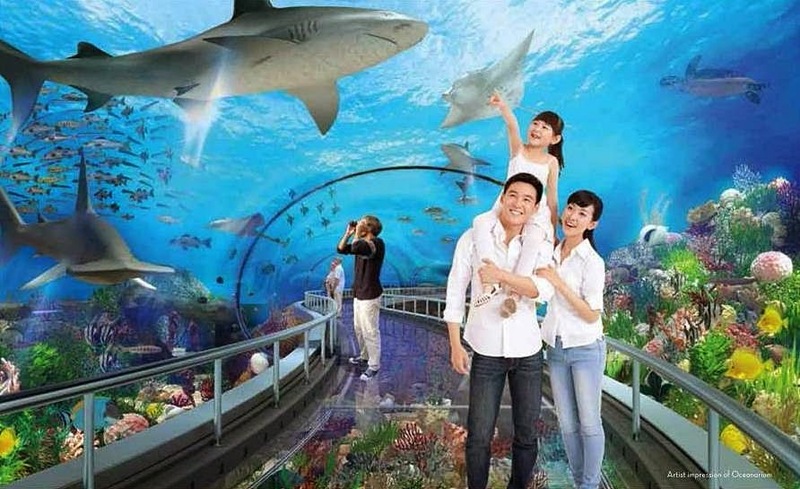 I am fascinated with their new Oceanarium Complex, it said to be one of the world’s longest aquarium tunnel, longest coral reef aquarium and also South East Asia’s first 360-degree view aquarium tunnel. 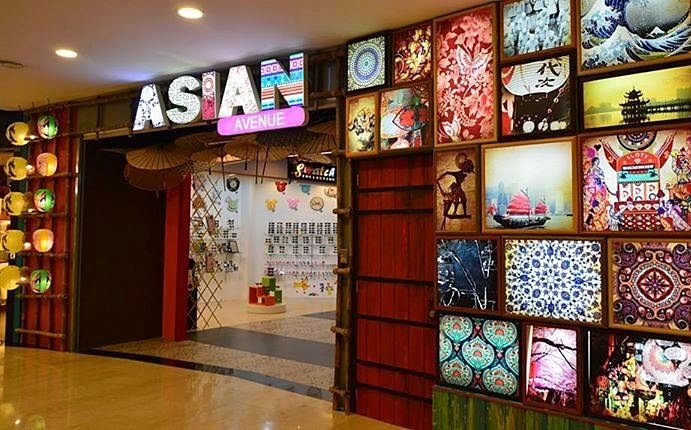 Another option for shopping spree in Melaka! Oooh, I've never been to a hotel/shopping mall establishment. It looks really posh! Wow! this mall is something to visit. The SHORE Oceanarium Complex is the first place I'm gonna see. Loved that Oceanarium Complex... We have one like that here in the Phils but haven't visited yet. Wow... another mall. Look grand and happening place to go for shopping. That place looks simply astounding that I wish to board a plane right now and go there too. It must be fun to relax and shop for hours there. This place looks awesome ! Thanks for sharing it will be of great help for our next trip. The last time I went Malacca, I don't remember any shopping gallery this cool! Wow, it's really cool, time to revisit, since my hometown is at Muar! The 1-millionth shopper is one lucky guy! I could imagine all the things I could buy with his gift certificates! The complex have everything. It has an oceanarium facilities and shopping and hotel facility. What an amazing and sparkly place to hang out... The colors and light will make me excited to shop. Another shopping destination worth visiting. It will be a fun way to chill and relax. What country is this located anyway? The Shore Shopping Gallery looks amazing! I would love to visit this place, too. It looks like a luxurious palace to me! That is one huge shopping complex! Would love to go there someday but it looks like one day is not enough to check out each nook and cranny of the mall. Wow the place looks super amazing.